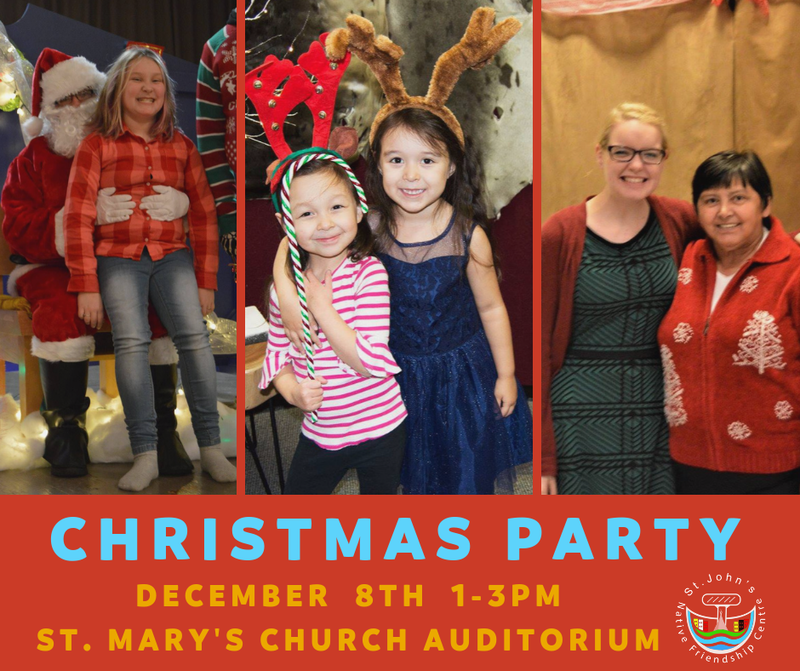 Our annual Community Christmas Party will be taking place on Saturday, December 8th from 1-3pm at St. Mary’s Anglican Church Auditorium (1 Cornwall Crescent). If you have a child under the age of 12, please register for a present from Santa by contacting Debbie at [email protected] or calling 738-8467. The deadline for present registration is no later than November 26th.